I am still relatively new to keeping snakes (almost 2 years), and I've found some challenges along the way with feeding mostly, but I've gotten better at that. This blog, and folks like you, help me to learn so much! I sincerely appreciate you taking the time to throw out your pearls of wisdom!I have a question for you: I have two snakes, one is about 2 years old and he has become unexpectedly cranky lately. He has not bitten me, but he has struck twice. I used to handle him every day, and he has been to several events with little kids and he's done fine. In the last 2 months he's changed (Harvey). I have not changed his routine at all. He is properly heated and humidified. I got some leather gloves so I can hold him even if he gets cranky when I hold him. It seems he's getting better. Any advice? Meanwhile, my other little guy (Mikey, 9 months) is super cuddly and even allows me to pet his head. Again, I thank you for posting your wisdom. Probably my favourite post ever. the likeness to Pirsig's Zen and the Art of Motorcycle Maintenance is what first caught my eye and man, am I glad to have read the OP, at a time when I am diving in with both feet with my 5 year old son. we have had a BRB for 2.5 years and just got two morph BP hatchlings. 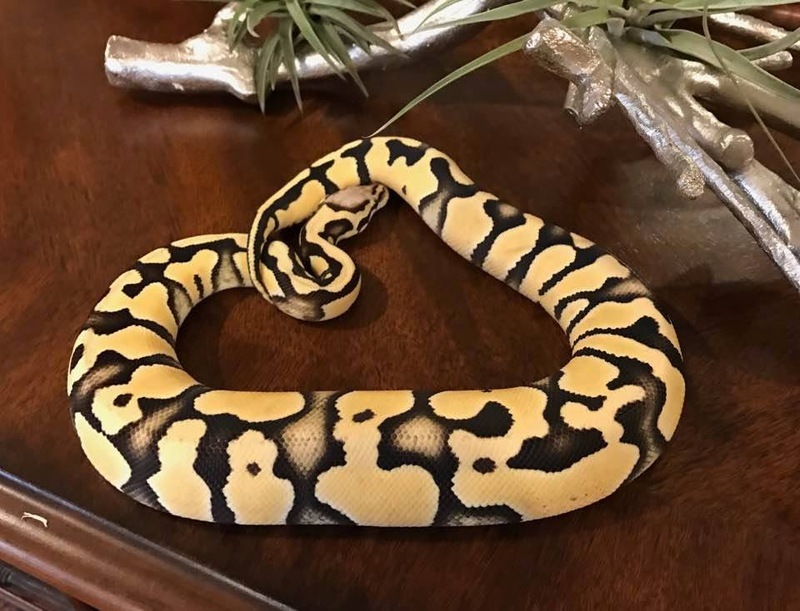 I never thought I'd become so infatuated with snakes, BP morphs in particular, but here we are. we have our own set of dynamics here, zero net energy home, solar and a general fascination with biotopes and biodomes, a basic desire to figure out how to combine energy efficiency with good healthy practices. I've created several enclosures that are heavily insulated and require a bit of a different approach to balance the care peramaters. it seems pretty common that various peoples unique circumstance require a more zen approach, a less strict hard line, allowing some room for the unique personality of the individual snake and the dynamic of one's life. do I ever with I had a mentor near by, what a cool opportunity having one next door must have been! Where have you been all my life? Can you be my valentine? Can you at the very least, be MY mentor? Your post deserves a BIG HEART ! This post is so wonderfully written and makes me even more excited to get my first BP tomorrow! Please post photos or it didn't happen! Wow, I'm so glad I got the opportunity to read that. That was simply beautiful. Thank you!! !